Most people will tell you that the more knowledge you have, the more power you also have. In other words, they are repeating the very well-known phrase – “Knowledge Is Power”! I believe that it is good to have knowledge especially when it comes to the world of business and entrepreneurship. Usually the more knowledge you have when faced with problems to be solved, the more likely you will be able to find solutions. So, in that way I also agree that it is a good thing to have as much knowledge as possible. As useful as having knowledge can be, your ignorance when properly identified can be just as powerful and almost as profitable when coupled with the powerful personalized special strategies taught within our SDK Collaborator Group. Without exposing the inner secrets of the strategy, the best example to illustrate the point might be the following: If you had a number of tasks to perform in order to reach an important objective, but you realized that there were a few tasks that you could not accomplish by yourself – How would you proceed to reach your goals? If, realizing that you would be limited in your efforts, you decided to elicit assistance from someone who you knew could handle those difficult tasks, you would have solved your problem in advance. Then with this person’s assistance, you would be able to complete all of the tasks required in order to properly reach your objective. In this example, being aware of what you could not do allowed you to obtain a practical solution to that issue. In business, the circumstances can become much more complex. Sometimes, even when you believe that you are remaining alert to everything that is happening around you, you can still sometimes run into real obstacles because you didn’t know what you didn’t know. To the extent possible and practical, you should always devise a business plan that provides you with as much knowledge and insight as possible, especially when it comes to areas of business where you have limited knowledge, experience and resources. If you have concerns about making progress in areas that you have limited knowledge and understanding, you can learn innovative ways to deal with those concerns by becoming a member of the SDK Collaborator Group whenever there are available openings. Previous PostIn Business, What Is Your Greatest Fear?Next PostWhat Stresses You More? Is It Your Business Or Your Lifestyle? I think one important tool to learning things new is the internet. If I ever need to learn something, I use the internet. There is so much information that can be useful out there. The Internet certainly is a useful teaching tool. Our point is that there is a world of information out there, but it is important to focus on critical learning when it comes to growing a successful business. There is so much to learn and to apply, so know what to focus upon to make maximum progress. These are very important aspects, I like how one of the best ways of doing something that you don’t know may be to gain guidance from an mentor who will be able to carve out a journey for you to follow through. This makes it easier to gain your goals in the long term and makes it much easier to do so. Yes, we do agree with you. Having a mentor can greatly accelerate your progress, especially if you have little or no experience. I completely agree. If you can preempt your own ignorance, then you are already 90% successful. There are a lot of hard-headed Business-people that refuse to admit that they are doing things wrong, or need to improve their way of working and that makes them stuck. To keep a business flowing, you also have to be flowing as a person. We agree with you that many people are standing in their own way because of pride, laziness, lack of insight, etc. We hope that more business owners and entrepreneur will find our post helpful to them as well. “There is no knowledge, that is not power” For me everything starts from inspiration and than I make a plan. I was learning how to do landing pages, after taking that task, and successfully completed it. You need to be very inspired for things that you can’t do yet. That will help you a lot. Inspiration is certainly a “good thing” to have. We like your statement of being inspired, and then making a plan. It is definitely a good idea to start with a plan. We wish you continued good progress in our efforts. I am sitting in my own little well and thinking that the whole world is my little well. … Let people say whatever they like, stick to your own convictions, and rest assured, the world will …. Therefore know that you have really done all, and go on. … Latin phrase “Scientia potentia est” means “knowledge is power”. Those are profound statements with deep meanings. I’m not sure I completely agree. How can ignorance be powerful? I mean, other than if people feel sorry for how ignorant you are and just give in. Knowledge is power. It always will be. Thank you, Megan. Ignorance in the usual sense certainly is a liability. Our point is that if you are attempting to accomplish certain tasks and you are willing to openly admit what you do not know, that is an advantage if handled properly. Clearly, if you are hampered from accomplishing a task because you do not know how it should be done (and you are obviously “guessing” blindly trying to achieve your goals), then this is the ignorance we are referring to in this article. You see, our strategy focuses heavily upon enabling you to “accelerate” your money-making efforts. Part of the process is to guide you to discover (for yourself) exactly what is either stopping you or hindering you from the success you should have. After many years of sharing our strategy with a wide variety of clients, it always comes down to this fact: When an entrepreneur is not making the progress they want, we focus early in the process to identify the problem. The problem usually is something they do not know, or something they do know, but refuse to take the necessary action needed or maybe it is something that they are trying to do, but actually cannot do. Much acceleration will take place when an entrepreneur is willing to admit what they DO NOT know. There is really no point in providing information to someone who openly states that they KNOW IT already. To do so is much like trying to add more water to a glass that is already full. Thank you for your comments. Many intelligent people run corporations that offer products and services that they themselves could not do. It is more about knowing how to manage an organization with people who are empowered to do those tasks. We certainly agree with your comment. On a large scale, your observation is one that is obvious to a lot of people. However, our strategy teaches that even entrepreneurs who are facing difficulties that normally would stop them can learn how to change such situations into “stepping stones” to success. Thank you for your comment. This nails one of the issues I have been dealing with. In my own life I’ve decided to take some Udemy courses to deal with my lack of knowledge, however it sounds like this SDK Collaboration Group is something that I’m interested in looking into. I’m largely isolated, as I feel many people starting businesses are, and this could be a huge help. Yes, Caroline, your point is well taken. It is very useful to be able to collaborate with others. Doing so is one of the major activities that we strive to create around each of our members. We look forward to working with you. We are confident that you will greatly benefit from our strategy. I have learned much from this post. I think I will have to join the site and learn from it more. Welcome aboard, Teresa. We are ready to assist you. Well, it depends on what knowledge you have. Each person will have different knowledge based in their experience. I think that it’s more of a slogan presented here than actual truth. I thought the message in the article was well developed and sincere. Thank you Roger for your comments. Believe it or not, it isn’t just a slogan, but it is a definite technique that we use to accelerate an entrepreneur’s progress. 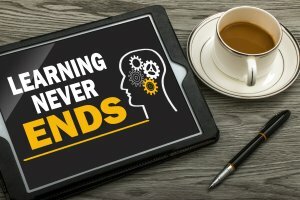 If a person has no idea that they don’t know a certain thing, it is very difficult for them to benefit from NOT knowing it unless they apply a few techniques that we use. We look forward to sharing these strategies with you when you are ready.